A pair of Buffalo Bills are doing their part to help their homeland. Offensive linemen Jeremiah Sirles and Spencer Long have watched as their home state of Nebraska has been ravaged by flooding. In the past week alone, 74 cities, 65 counties and four tribal areas in the state have declared states of emergency because of extreme water levels – leaving thousands of homes, businesses and farmland in ruins. Long and Sirles are working together to try and raise awareness. As part of their response, the pair will host a dinner Thursday night in Schuyler, Neb., for first responders, law enforcement, volunteers and victims in the impacted community. Days of heavy rains associated with last week’s “bomb cyclone” storm and subsequent snowmelt have flooded rivers, causing widespread damage. Three deaths have been blamed on the flooding, according to USA Today, and more than seven million people in 14 states are in areas with flood warnings. Damages to farms and ranches in Nebraska alone are approaching $1 billion, according to the state’s farm bureau. Vice President Mike Pence toured the area this week. Sirles and Long played together at Nebraska, and were recently reunited as teammates when Long signed with the Bills. They both live in Lincoln, Neb., and have been training together. After a workout Monday, they came up with a plan to help in any way they could. Sirles contacted a family friend who has deep ties to the affected areas and asked what was needed. “People are talking about raising money, doing all that stuff, but right now what these people really need is food, supplies and just to recharge,” Sirles said. “These guys have been running on fumes for a week now and there’s no end in sight. The work is really just getting started. Sirles, Long and another Nebraska native, Kansas City Royals pitcher Jake Diekman, are footing the bill for a dinner that will have between 400 and 800 people. Long’s family home came out relatively unscathed since it sits on higher ground, but several of his neighbors weren’t so fortunate. He said some family friends who run a dog kennel have lost their home and business. Luckily, they were able to evacuate themselves and the animals, but their property near the Elkhorn River has been destroyed. Those images have been difficult for Long to see, but inspired him to try and give back. “Really what started it, aside from seeing all that, was watching my community come together and put their neighbors in front of themselves,” Long said. “It was really empowering and gave me more of a sense of pride to be where I’m from. Unfortunately, it may not be over, either. Long-range forecasts show that flooding could be a problem deep into spring, with the risk of El Nino-produced strong storms lasting into May. Both Long and Sirles said Thursday’s dinner is just the first step in what will be a more thorough fundraising effort. They want to meet with those responding to and impacted by the flooding to get a better idea of what is needed. 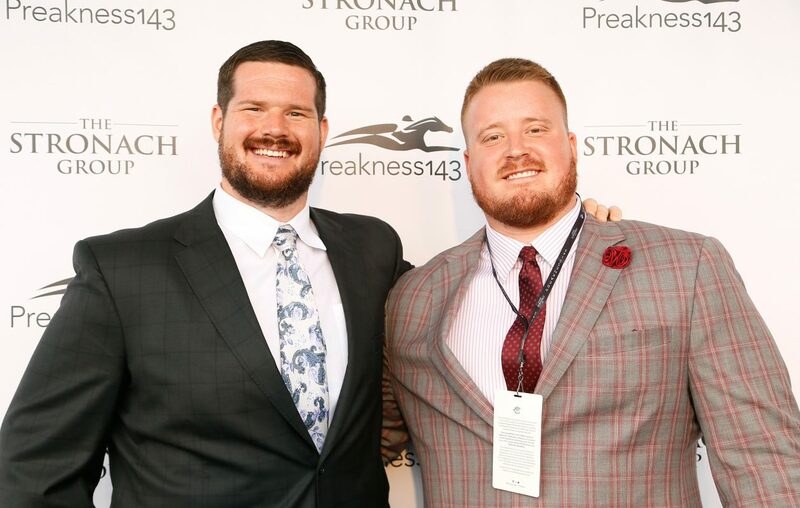 Both players encouraged anyone interested in helping the recovery efforts to follow their social media accounts – Long is on Twitter @slong_61 and Sirles is @Sirles71_HSKR. Once fundraising plans have been finalized, updates will be posted there.